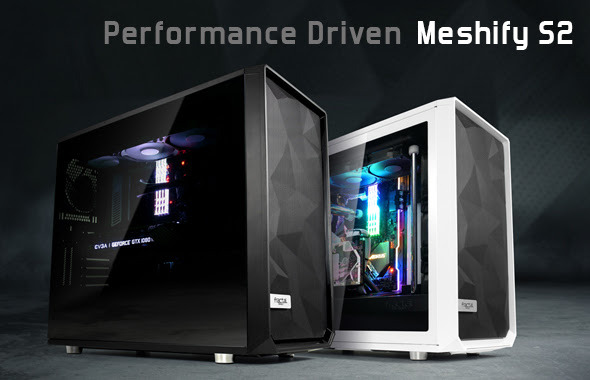 Fractal Design, creator of the world renown Define series, today announced a new addition to the Meshify series with the launch of the Meshify S2. The new Meshify S2 features the series’ largest and most advanced design yet with bold aesthetics and unprecedented performance potential. 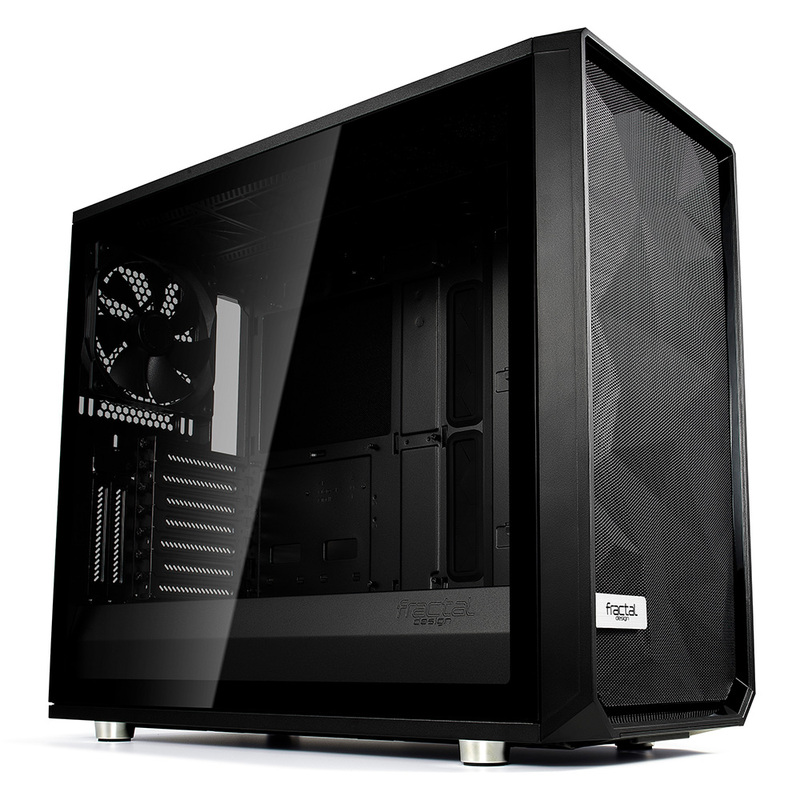 Definitely happy to see the Meshify treatment being given to more of their lineup. I used their Define C in a few different configurations and found it to be of very high build quality and if that is any indication I expect the same here. Meshify S2 comes ready with three pre-installed Dynamic X2 fans and nine total fan positions supporting radiators up to 420 mm in the top, 360 mm in front, and 280 mm in the base just in case you need a little extra room. 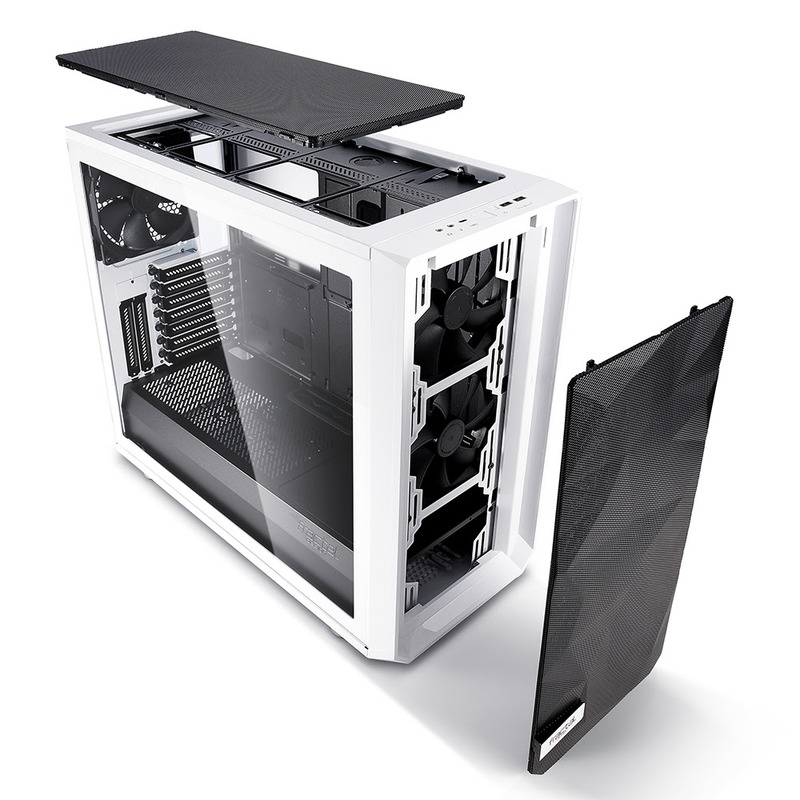 Adjustable reservoir brackets and pump mounts are complemented by an innovative removable bracket allowing radiators to be installed directly through the top of the case which is a very welcome feature if you’ve ever built in a case with a similar feature. The versatile PSU shroud features alternate SSD mounts and support for the Flex VRC-25 Vertical GPU Riser which is available separately. 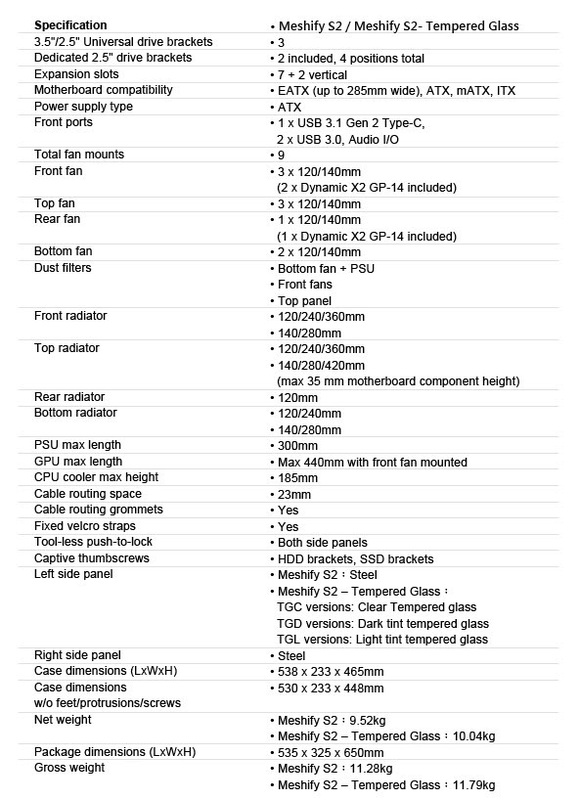 Other new additions include USB Type-C, Nexus+ Smart Hub, E-ATX support, and bolt-free tempered glass with push-to-lock latching mechanism. The Meshify S2 combines all the strengths of its predecessors with Fractal Design’s most revolutionary design elements, and its iconic angular mesh offers more than just a distinctive look as it opens up the airflow path to really get the air flowing.